We Make Nutrition Coaching Easy for The Discomfort Zone!!! Discomfort Zone Performance Coaching along with associate coach Mike Mahoney decided that Infinit would bring a ton of value to their athletes and ultimately their business. When you meet someone for the first time, there's usually a pattern to the conversation. If you're chatting for more than a few minutes, that usually means a question about their profession. And if you find that profession interesting, usually a few more questions follow. 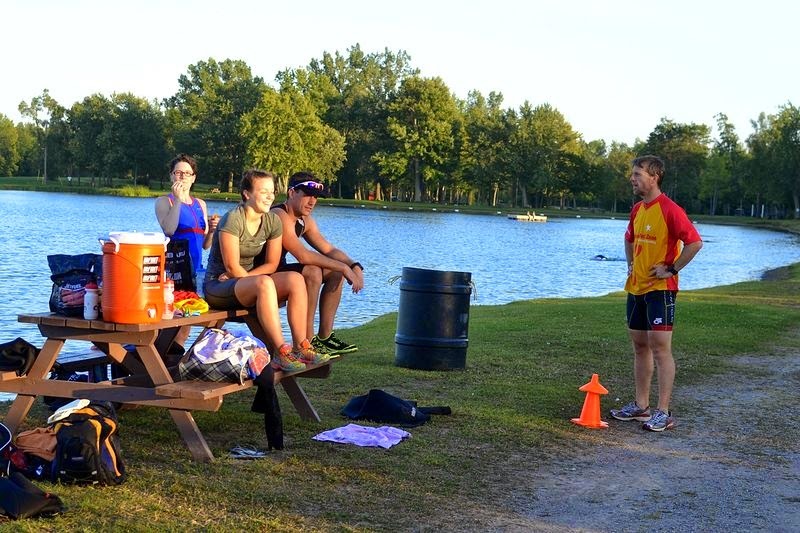 People must find triathlon interesting, because as soon as people find out that I coach, there's almost always a series of questions. Maybe some people are just being polite, but most seem genuinely interested and I'd like to provide some useful information, even if there's limited time. Surprisingly, some of the questions coaches are asked most often aren't strictly about coaching at all: they're about nutrition. And those questions present a problem. Ask me about periodization or motivation or how to train for a particular race and I'll talk your ear off, complete with examples. But nutrition questions are a different story. Perhaps it shouldn't be so surprising that people ask about sports nutrition. Good general nutrition is important for everyone, all the time, and especially for endurance athletes. And as soon as an athlete gets serious, whether it be triathlon or another endurance sport, good nutrition gets even more important. Specifically, sports nutrition. Nutrition is a big field with a lot to know, and there's new information all the time. And endurance athletes are readers, especially triathletes. Generally on the internet. There are tonnes of nutrition information out there, and a lot of it's suspect, which means athletes can have difficulty telling the good from the bad. So what to they do? They ask an 'expert' they're having a casual conversation with. Okay, I'm exaggerating. As an athlete and a coach I follow the new developments and I'd be lying if I said I didn't have some pretty strong opinions about sports nutrition. But some of that knowledge is pretty involved for a casual conversation. A lot of good nutrition is about matching the nutrition to the athlete to the training, which gets pretty specific. What works for me might not work for you. So what do I tell people about nutrition, in a nice digestible sound bite, but still try to give them something useful? Start by eating right and leading a healthy lifestyle. Most athletes have already ditched the junk and eat a reasonably healthy diet of veggies, fruits, and meats that you can identify when you buy them. If you haven't, start with that before deconstructing a micronutrient profile. Start buying vegetables first, once you've done that, worry about organic and antioxidants and pesticides. If you smoke, quit! Now! Yes, I know every athlete's heard all that before. Are you doing all you could do? Writing this, I can tell you I'm not. We can all improve. I always start with that advice and to date, it's never simply been accepted. I get responses like "I'd have to give up..." I have a theory that there are no real secrets in a connected world; only solid knowledge people don't accept because it's not marketed as a big secret. Well, call it a big secret, then. 2. Is there enough training for this to matter? Some people expend huge amounts of time arguing the fine points of different products and different nutrition claims, some of them pretty wild. And they spend serious money on some pretty dubious stuff. I'm often asked to express an opinion on one product versus another. 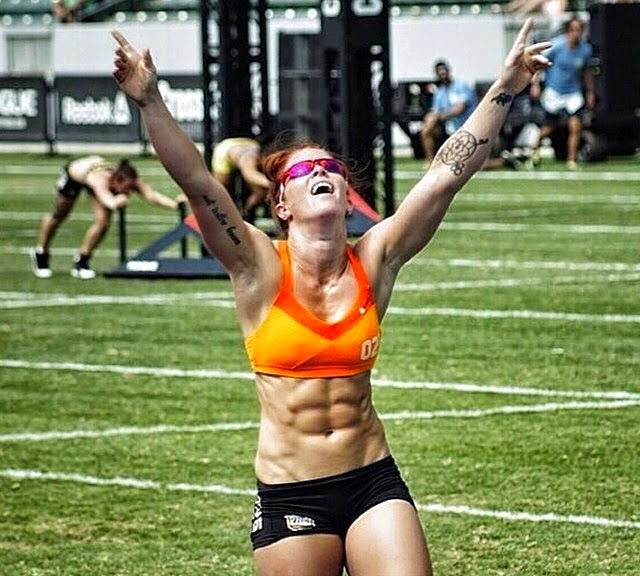 I always reply by asking how much the athlete is training? 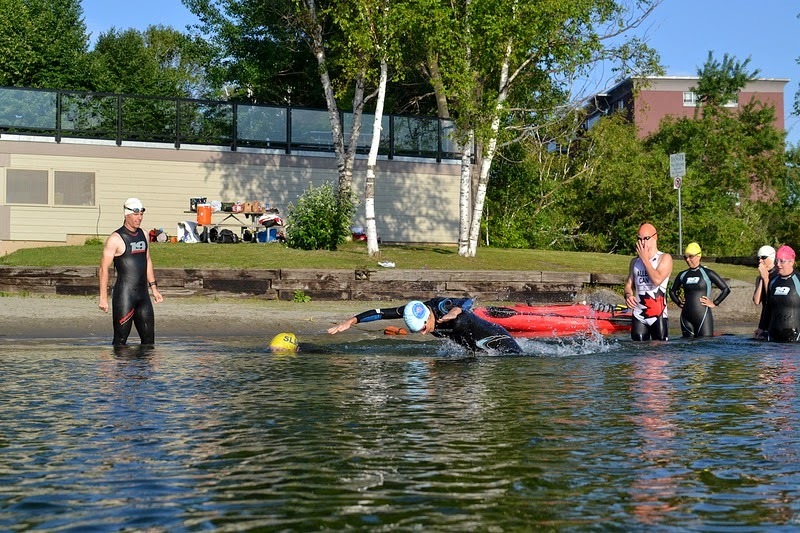 Wouldn't it be better to cut the number of out-there, miracle products they bought, used the savings to take an afternoon off, and went for an open-water swim or a steady bike with some solid intervals? 3. You worked it out of me. Inevitably, I'm pressed to reveal what products I use. I say spinach, and always get a laugh. We covered that in point one. The fact is that everyone needs to fuel and athletes want to know what's good. Contrary to some of the goofier information on the internet, there absolutely is a place for highly processed sugars and proteins in your diet, and that place is in your aero bottle on a training ride or an IRONMAN bike. 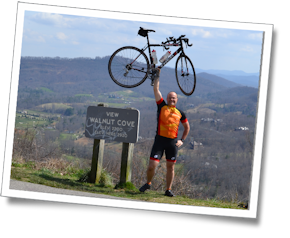 Yes, I've tried a lot of sports nutrition products, and yes, as you've probably guessed I use INFINIT, but probably not for the reasons you're thinking. I fuel with INFINIT because it's specific to me as an athlete and specific to the training and racing I'm doing. How hard I train, how much I sweat, how far I'm going. Off-the-shelf just doesn't cut it. If the person asking me questions is still around, they're probably an athlete and have been listening long enough that they're not just being polite. I finish with one last sound bite of advice. INFINIT is serious enough nutrition that you want somebody who knows what they're doing setting the sliders. Start with the online questionnaire, but if you're investing a lot of training time and energy in a big goal race, get the nutrition consult. When I'm doing something new I get a consult and end up getting some knowledge I didn't know before along with my bag of fuel. When my athletes get their consults I ask what they learned and I'm always impressed. And it doesn't hurt that one consult resulted in the minor improvement to my racing that I don't throw up anymore. All right! That's what you'll get if you ask me about nutrition. Hope it helps! Before his first Marine Corps Marathon, Mike Mahoney’s idea of running was something a sergeant forced you to do in a rucksack and boots. Triathlon just kind of happened from there. His proudest moment is being talked into a 50k at 9pm the night before. 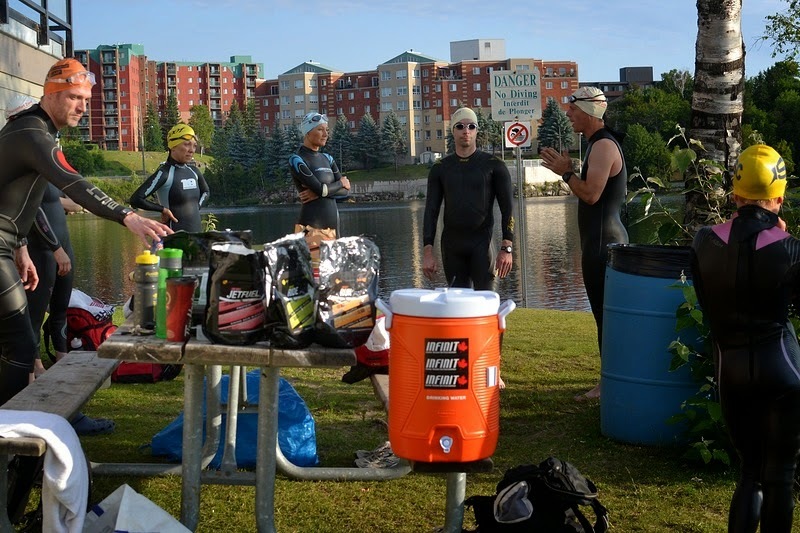 Mike is an Associate Coach with Discomfort Zone Performance Coaching in Guelph, Ontario and is currently training towards IRONMAN Muskoka 2015. Working with Mike and Mike has been great - we have provided fuel for camps and clinics which has allowed their athletes to feel the difference nutrition that is designed for a specific sport can have on performance. All coached athletes receive full nutritional consults, moderate discounts and free shipping on group ship days. All in all we have a symbiotic relationship. We are appreciative of them and I know the same is true from their perspective. The Cycling Gym Choses to Fuel With Infinit!!! 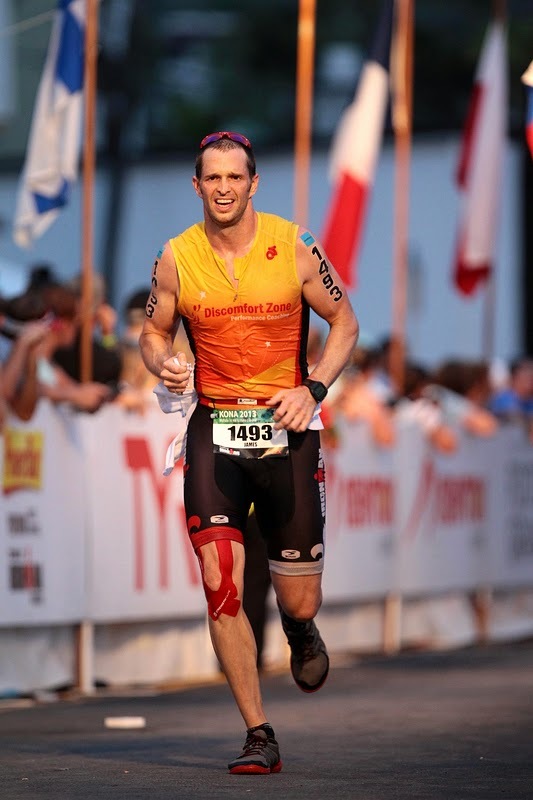 We at Infinit are all about fuelling athletes that wish to perform at their best. So when Steve Neal (already an Infinit customer) called to discuss fuelling "The Cycling Gym" with Infinit, we were eager to talk. The Cycling Gym is a one-stop training and fitness facility for cyclists and endurance athletes. Cyclists can meet their endurance and strength training needs through a coherent, periodized training program. Steve Neal and Andrew Randell, the developers of The Cycling Gym, believe that cyclists should be doing more than just riding their bikes. To improve athletic performance and overall well-being they should also be doing strength & conditioning training, stretching, and mobility work year round. In addition to improving their approach to training athletes should also be practicing proper nutritional habits. Through their own experiences Steve and Andrew understand the importance of nutrition, particularly the challenge of getting in enough calories during exercise. In order to drive improved performance they feel that proper workout nutrition (pre, during, and post) is required, supporting growth and recovery as it promotes a reduction in the cumulative stress the body experiences throughout a training season. The Cycling Gym wanted to partner with a nutrition company to give their clients access to proper workout nutrition and its associated benefits. Andrew states: "Infinit Nutrition is a great fit. With great pre-blends and the ability to customize at the athlete level, The Cycling Gym will be able to offer a variety of options to meet our clients’ needs. Infinit Nutrition’s osmolality index and high calorie drink formulas will help us fill a gap in the nutrition market in Toronto". The Cycling Gym will be an Infinit Nutrition Anchor Store where we can help ensure athletes have access to the nutritional products they need to thrive. We are thrilled to have The Cycling Gym as a partner. They do not have a one size fits all solution to getting an athlete to their ultimate solution, exactly how we feel about nutrition. Julie Kelly and The Forward Momentum Coaching Crew Do It Again!!! Bike racer from Alberta. We have been fuelling Julie for a while now and are partnered with Forward Momentum Coaching lead by Shaun Taylor. Wherever this group goes and rides all you need to do is look at the podium, they are usually there. Have gotten to know a few of them over the years - Julie, Dave, Ryan and Shaun - all great big engines and crazy work ethics. Thing is they play as hard as the train, where there really isn't any line of distinction, really admire this bunch. Thanks for sharing the cap of an incredible season with us Julie - congrats and enjoy some downtime. 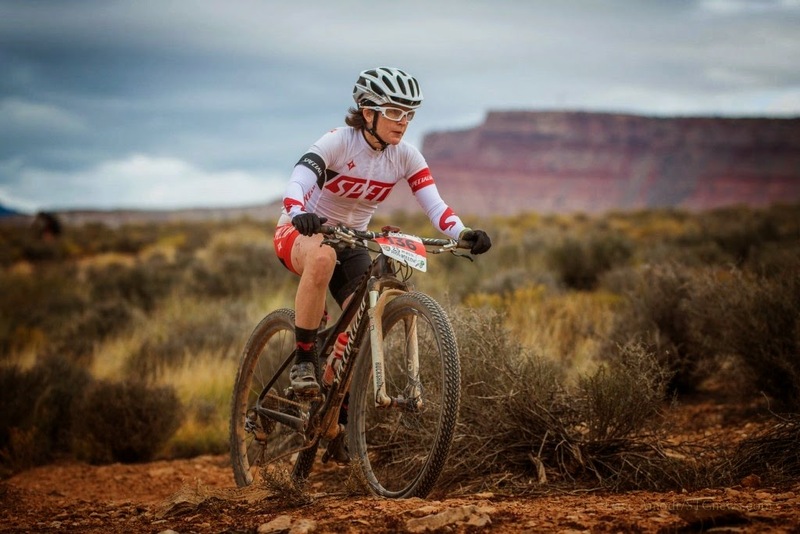 Forward Momentum Coaching Link: Shaun Taylor If you are looking to take your racing and fitness to another level - check him out, one of the best in Canada. Little more than a coincidence that the group of riders that Shaun coaches dominates the podium of the 24 hr Mtn Bike circuit, some say there must be something in the water. Actually that is true, it is Infinit. Whatever You Dream - We Have the Fuel to Take You There!! Been playing around with a new app I was introduced to, Flipagram. Super easy to use, here is a few shots from some folks we fuel. If your nutrition is not fully optimized - give us a shout. 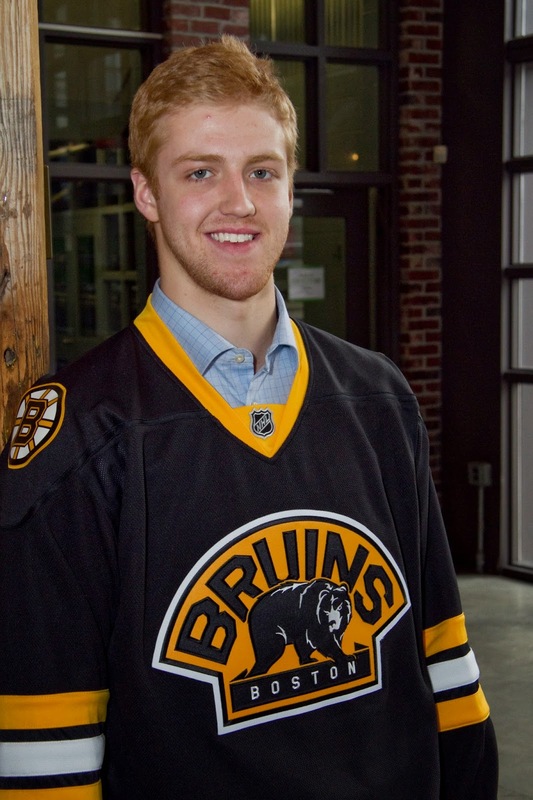 Still only 21, Dougie has been asked to fill a big role this year with the Bruins. He is in his 3rd full season in the NHL after making his debut in the lockout shortened 48-Game season in 2012. From the onset he earned the trust of Coach Julien and his Team-mates. It is rare to see a 19/20 year old step into a steady role as a defencemen in the NHL, he did and looked very calm doing it. Was great to see Dougie get involved in the playoffs as the Leafs and Bruins squared off in Round 1. As a huge Leaf fan was really cool to travel to Boston with a great friend and Bruins Fan Kevin to see Game 2. Leafs won the Game 4 - 2 much to my delight and a smattering of Leaf fans that made the trip. Dougie ever gracious, had passes for us to sit in the Friends and Family seating area, then after the game we got to go down to a reception area where the players come and meet their Friends and Family. What a thrill for both Kevin and I to interact with the players and family. What was so cool was Dougie was so thankful that we came to see him play, he said it was really cool knowing that someone is there to see him play. Of course as a Leaf fan our hearts were ripped out when the unthinkable happened in Game 7. With 10 minutes to go, they were up 4-1 and ended up losing it in OT, will never forget that. If you want to relive it: Leafs' Hearts Broken!. In the 2013/2014 Dougie started to be used more, with around 18 minutes a game. Certainly a trusted defencemen, but Julien generally would lean on others when defence was a priority. By the last third of the season this was starting to change as Dougie notably stepped up the physicality of his game. At 6' 5" and 212 he has the goods and used his size and body position very well to end the season. 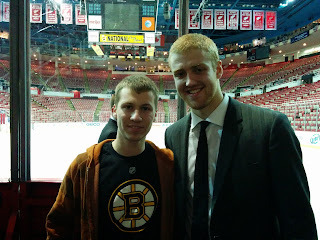 Got to see Dougie play in Detroit with my Son Mat, he had a big game, including a great goal right in front of us. Again he took time out to meet us after the game, which was a thrill for Mati. Fast forward to the present the Bruins are 15 games in and who would have known that Dougie would be logging more ice-time than any Bruin. With key injuries in the defence ranks, including Chara he has been averaging 23 minutes per game this year. Last five games he is over 25. So far this season he has 3 goals and 7 assists and has a plus 3 rating. These are great stats for any defencemen, let alone a 21 year old. We are incredibly proud to be fuelling such a great hockey player. Each step of the way in his career he has emerged as a go to player - great to see that he is a part of the success the Bruins are seeing early in 2014/15 season. If you would like to understand how Dougie fuels - check it out at www.ImOnIce.ca.